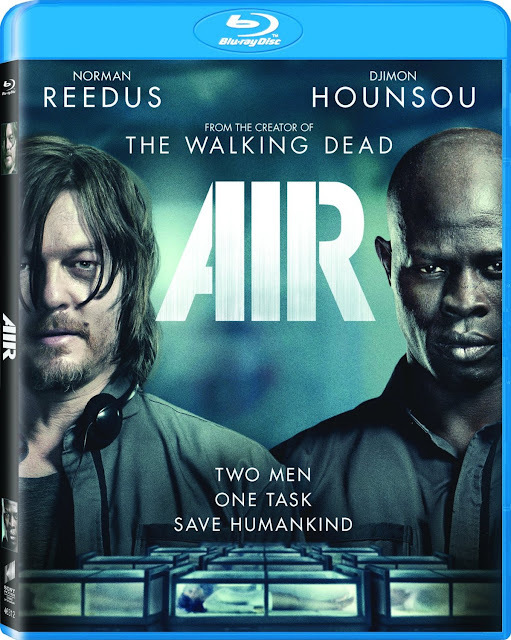 From Robert Kirkman, the creator of “The Walking Dead,” comes the psychological thriller Air, debuting on Blu-ray and DVD Oct. 6 from Sony Pictures Home Entertainment. 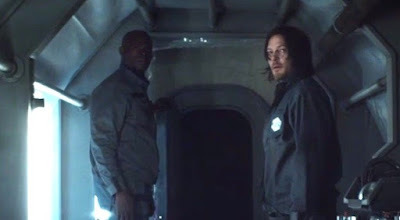 Norman Reedus (“The Walking Dead,” The Boondock Saints) and two-time Academy Award nominee Djimon Hounsou (Best Supporting Actor: In America, 2003; Blood Diamond, 2006) star as two engineers tasked with guarding the last vestiges of mankind as they struggle to preserve their own sanity and lives. Air also stars Sandrine Holt (Terminator Genisys). The President ensured the public that they would be protected and their way of life would continue. It appears that the opposite has happened. Something catastrophic has happened and the fallout has affected the entire world. There is no longer clean air and the brightest minds have been stored away in a state of suspended animation. Two engineers are tasked with keeping their wards alive until the world has breathable air again. 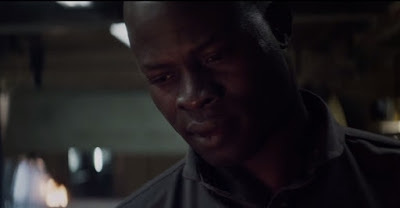 Cartwright (Djimon Hounsou) does not like his plastic tube he sleeps in. 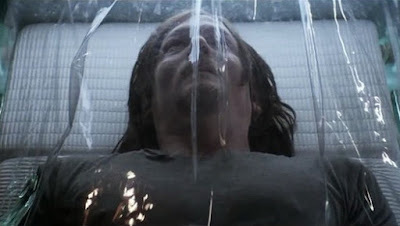 He seems to be claustrophobic and hallucinates when he is awake. When his equipment fails, Cartwright travels outside the safety zone. 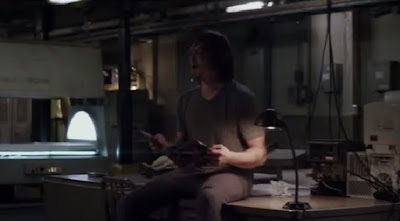 He could easily take the life of one of the people he’s been tasked to protect and use their equipment. 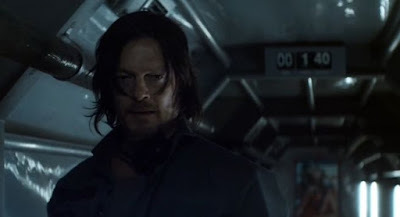 Bauer (Norman Reedus) is the second custodian of the sleepers. In order to get the job, Bauer lied about having a family. While he sits safely in a bunker he deals with the thought that his wife and daughters suffocated on the outside. It is unclear how many cycles the two custodians have slept. They wake briefly to perform routine tasks and then they return to their sleep chambers. Even when things are good two people confined to a small space is not an ideal situation. When things go wrong, two people who were previously like family can quickly become enemies as their desire for self-preservation takes over. Air is surprisingly not like every other post apocalyptic film you’ve seen. What happened to the world is unclear and it really is all about two men who have the power to save civilization by keeping sleepers alive. There are no creatures banging on the door. It’s an incredibly complex film which is also very simple. Two men, one location, one simple task. With so little information, we don’t know if Cartwright and Bauer were good men. We don’t know what they have become. We don’t know how long it’s been since they’ve talked to other people. Air was not what I had expected, and I was pleasantly surprised at how dramatic it was. Film students should take notice that this is exactly how you take good actors and a small budget and develop a true thriller. Air is presented on Blu-ray courtesy of Sony Home Entertainment in 1080p high definition with a 2.39:1 ratio. The film is almost entirely dark and underground. Fine detail is extremely important and is very well done as you see the unbreathable particles float through the air. Skin tones are accurate and black levels are good. Everything you see adds to the film and its authenticity. The 5.1 DTS-HD MA track is more than adequate for this dialogue driven film. You will hear the metal expand and contract as the air flow is started and stopped. Dialogue, both spoken and yelled is easily understood. 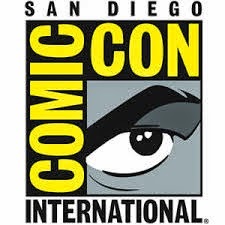 The film offers audio in English, French and Spanish with subtitles in English, English SDH, French and Spanish. An Account of Confinement: Creating Air (8:02) - Cast and crew discuss what drew them to the low budget film. They talk about the intricacies of a limited set with simple story as well as impressions when reading the film. The Custodians – (7:10) - More behind the scenes with cast and crew in featurette which could be a continuation of the first. Air is a pleasantly surprising psychological thriller. It has a futuristic feel which blends high and low technology. 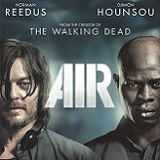 Both Norman Reedus and Djimon Hounsou bring incredible depth and uncertainty to their characters. Determining whether they are good guys, bad guys or a little of both is a fun ride. The audio and video quality is above average but the list of bonus features is very limited. I recommend purchasing the Blu-ray and have already watched and enjoyed the film more than once.